Most people think of online stock trading as only dealing with the buying and selling of stocks and options. This is only part of the game. Before you get to the buying and selling of stocks you need to find the stocks to buy, track the stocks, potentially investigate the companies and chart the stocks. To be good at online stock trading, you need to be efficient with your time and use website resources which will help you quickly obtain the information you are seeking. First you need to identify a few things. For instance, are you going to trade stocks, options, commodities or currencies. This site mainly deals with stocks. You can learn more about options at 10option. Next, you will need to determine the time frame you will be trading: day trading, daily, swing trading, position trading or investing. Then, you need to identify a trading concept which you will use to develop a trading system. It is this system which will determine the stocks to buy. Whether you are using fundamental or technical analysis you will likely be looking for a stock screener such as Stockfetcher. When it comes to finding stocks, there are free stock screeners but you can also spend hundreds of dollars per month, it all depends on what you are looking for and how close to the market you want to be. Another way of identifying stocks to trade is to identify new trends. For instance, cyclical companies that sell energy products, base metals or precious metals may be a good buy if their commodity charts are indicating that a change in commodity pricing is likely to occur. Other ways to find stocks which may be worth trading are to follow newsletters, stock trading forums or review information provided by stock exchanges. Most newsletters cost $100 to $300 per year with some being free and others costing much more. Forums offered on the web are for the most part free to read. Caution is advised here, there are many people writing on forums for their own cause not yours. 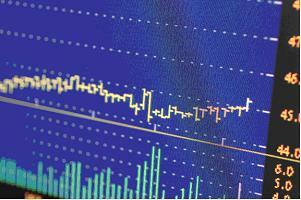 Most of the websites that offer stock screeners also offer a stock charting service. After you examine a number of stock charts you should be able to identify high probability chart patterns. Normally, you would then put these into a watch list. A watch list is a group of stocks which you can easily access at any time to identify what is happening to the stock and to monitor any news that may move the stock. Two good websites for monitoring stocks are Yahoo finance and MarketWatch. A note here, to enter a watch list, you will need to register with the site. Most websites differ in what they offer so before entering your entire watch list find the website that suits your online stock trading style the best. Now that you have identified a stock and have some information on it you are ready to place your order. Remember, many consider that the entry into a position is about the least important part of online stock trading. To purchase a stock, you will need a stock broker that offers online stock trading. A typical full service broker will generally charge between 1 to 2 % per trade. Full service brokers will generally try to offer you advice, tips and try to keep you informed of the general state of the market. Discount stock brokers can charge as little as one dollar but many charge around $10 per trade. You have to remember though that if you choose a discount stock broker, you will be making all of the trading decisions yourself so ensure that you are comfortable with taking all of the risk associated with self directed accounts. Before you decide on which stock broker to use you may want to ask them a number of questions. After you have purchased your stock, you would generally watch it until you are ready to sell at which time you would go online and close the position. In order to stay on top of your trading, to test yourself and get new ideas you should spend some of your time reading books, magazines or websites on stock trading. 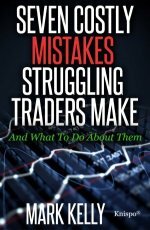 Also, if you have the opportunity to take a short course on the subject this may also enhance your trading techniques. On our review of websites page, we have identified two good sources which routinely give reviews dealing with the furthering your education trading stocks. Another way to improve your trading skills is to work on the inner game of self improvement. To do this you may want to investigate some of the coaching programs which I have found useful. Congratulations, you have now entered the world of online stock trading. If you are interested in improving your trading skills, take the first step and start to get educated now. Online stock trading is a difficult game. Learn what this professional stock trader has to say if you want to start understanding the stock market.